The exciting new Tesla Powerwall 2 battery system was recently unveiled – and is now available on pre-order from Energy Matters. The original Tesla Powerwall captured the world’s attention and will be remembered as the solution that really kicked off Australia’s home energy storage revolution. Already, thousands of Australian households are boosting their energy independence and slashing their mains grid electricity consumption through the use of new-generation battery systems. Rumours of a new Powerwall model swirled prematurely earlier this year; generating a huge amount of interest and much guessing about its features. The recent unveiling of Powerwall 2 had all eyes on Tesla once again – and it was well worth the wait. Powerwall 2 has a new look and can store double the energy of its predecessor. This added capacity will help PV system owners get even more from the high value electricity generated by their rooftop solar panels. The new-generation, high efficiency battery system also has more than double the power output capacity of the original Powerwall, at 7kW peak and 5kW continuous. The battery comes in two variants – an AC and DC model. An important feature of Tesla Powerwall 2 AC is an inbuilt DC-AC inverter; which will simplify and cut the costs of installation. At just 155 millimetres deep, Powerwall 2 can be wall or floor-mounted and is also “stackable” with the use of a special mounting frame. The battery has a length of 1150mm and a width of 755mm. Full details can be viewed here: Tesla Powerwall 2 Information/Specifications. 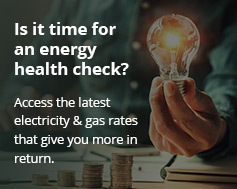 Australian solar + storage specialist Energy Matters is currently offering special cashback deals on solar when bundled with Tesla Powerwall 2 pre-orders; and priority supply for customers pre-ordering retrofits. For those purchasing solar + Powerwall 2 packages, Energy Matters will arrange for the solar installation to occur before the battery units are available; ensuring customers can start reaping the benefits of going solar very soon. Those pre-ordering now won’t have to wait long for Powerwall 2 – it’s expected the first units will be available in Australia early in 2017. However, Energy Matters advises stocks may be initially limited due to demand; so pre-ordering sooner rather than later may be a wise move. Further information on this special limited offer can be viewed here; or by calling Energy Matters on 133-SUN.